Seaduced is a boat that we have worked with for a while now but thanks to the incredibly busy Sydney boat hire season we have not had much time to upload new boats. 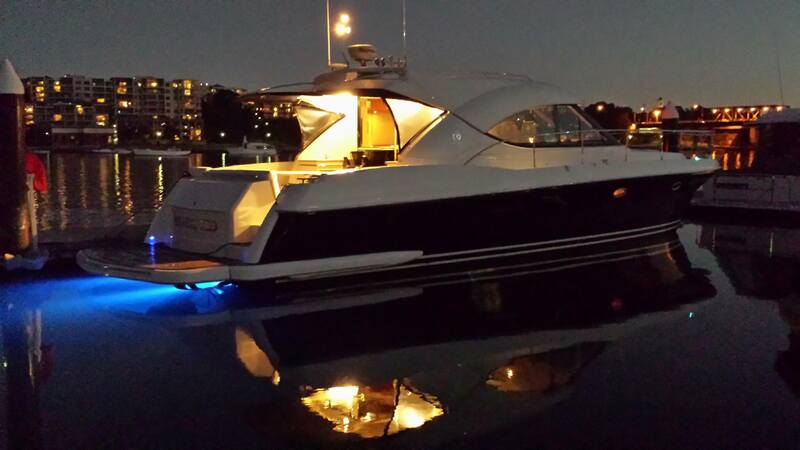 Boat hire on Seaduced is great and caters to the entry level in the luxury market. Seaduced boat hire is suitable for smaller groups looking for a sophisticated cruise with professional staff and all of the usual inclusions. Seaduced is a 47ft Riviera that has a lot of love sent her way by the owners. Sydney boat hire on Seaduced leaves from King St Wharf and some of the suburban wharves and the boat hire lasts 4 hours. Have a look at the Any Boat web site for a look at what the associated costs are.